Executives in Africa is an Executive Search firm, based out of the UK, focused purely on delivering executive and senior management level hires for roles in Africa. 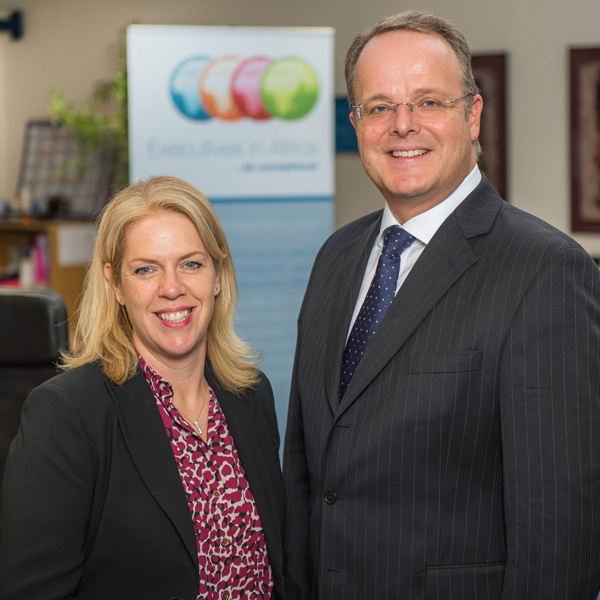 It was founded in March 2010 by Richard Putley and Sarah Fitzgerald who combined over 40 years of recruitment expertise with their established international and Africa networks. As a result of continued success and delivery, Executives in Africa is now the largest team of search experts covering purely Africa, supported by an In-House Research Team boasting French, Amharic, Arabic and Portuguese language assessment skills. Our extensive international network, combined with the understanding of recruiting into local markets in Africa, gives Executives in Africa an unrivalled ability to identify the best business leaders for our Clients today who are committed to developing the leaders of tomorrow. Our proprietary Search Process is thorough, efficient and tailored to the specific needs of each Client. We expect and offer honesty and integrity when working in partnership with our Clients, valuing long term relationships above short term gain.